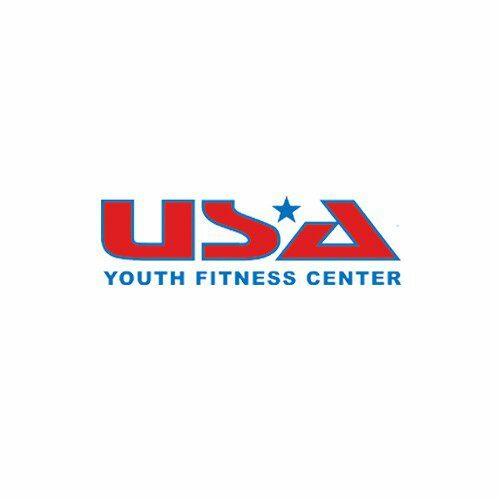 USA Youth Fitness Center was quickly outgrowing their gym designs at their facility, one that we had completed only four years earlier. 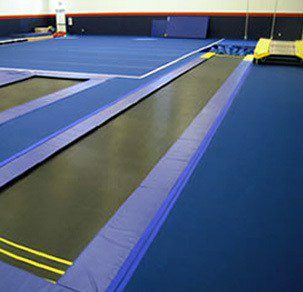 So it was time to expand and open a cheerleading and power tumbling facility right next door. 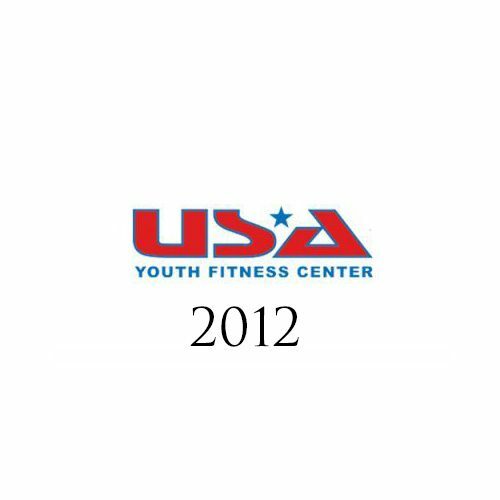 Our responsibilities again included design consultation, mat design, and custom installation work. Above you can see how the entire facility was laid out. 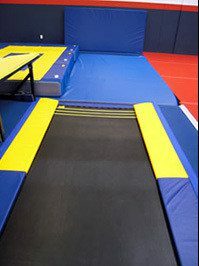 You can also see the custom Trampoline matting that we designed, built, and installed. Here the left side Tumbl Trak and Double Mini go into a custom-made 16’x16’ resi pit. You can see how the entire facility is covered in Carpet Bonded Foam. Notice how we added a seamless look to the facility by recessing the spring floor down into the concrete so the entire facility is one level. 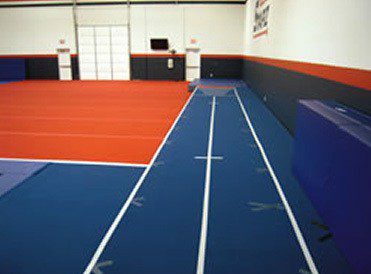 Notice how the padding for the Tumbl Trak is velcroed cleanly to the Carpet Bonded Foam matting around the entire facility. 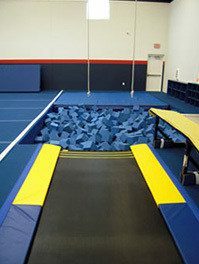 The right side Tumbl Trak and Double Mini go into a deep foam pit. Again the spring floor is recessed down into the concrete to create a seamless look. 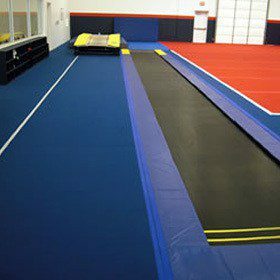 The Tumbl Trak and trampoline padding secure to the Carpet Bonded Foam padding with Velcro. Some of the more striking customizations to the Tumbl Trak padding are 5’ long yellow end pads. They give an added measure of safety by allowing athletes to know when they are at the end of the Tumbl Trak. On the picture most right, you can see how the pit is half deep foam and half resi. Lastly we have the 112’ rod floor that goes into a resi pit. 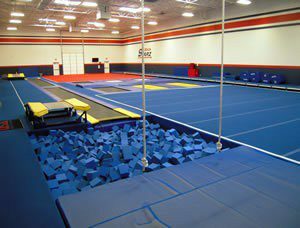 We used a custom-made 112’ roll of Carpet Bonded Foam to give the floor a seamless tumbling surface.